Living Cities, Liveable Spaces will be held this November at the National Museum of Archaeology, Valletta. The Valletta 2018 Foundation is exploring the role of place branding and cultural diplomacy in transforming cities and the quality of life of its residents throughout its upcoming annual conference titled “Living Cities, Liveable Spaces”, to be held between the 22nd-24th November 2017. This conference will bring together experts in the fields of urbanism, activism, cultural diplomacy, community development and critical theory to debate how ongoing cultural activity impacts upon the liveability of a city, the quality of life of persons within the city, as well as the city’s global visibility and reputation. Conference keynote speakers include Prof. Sebastian Olma, a leading critical and design theorist and author of “In Defence of Serendipity: For a Radical Politics of Innovation”. The conference will also be addressed amongst others by Jaakko Blomberg, a Finland-based urban activist, Dr Tricia Austin, a design consultant and academic at Central Saint Martins, and Bjorn Vassallo, the Director for European Member Association at FIFA. The conference will also feature a series of parallel sessions, allowing researchers from across the globe to explore the phenomenon of place branding and community well-being. Following a public call for papers, over 70 proposals were received from around the world. These parallel sessions will discuss various themes, including the use of culture and creativity within diplomacy, the challenges faced by cities within the contemporary context, and the future developments of cities and urban spaces. 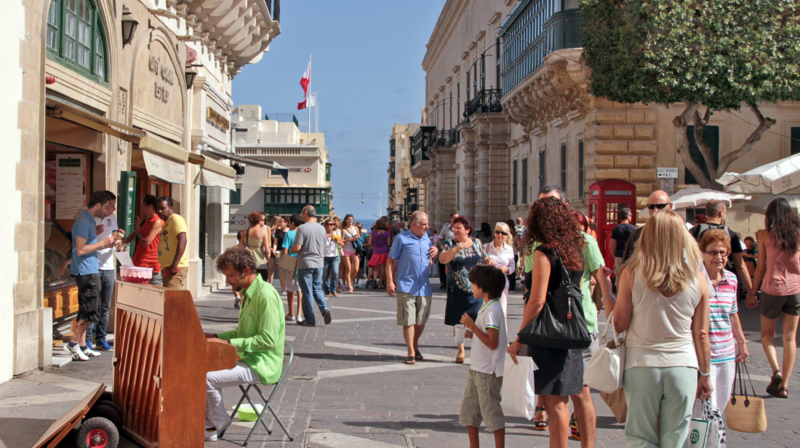 This is the fourth annual Valletta 2018 international conference following the first conference titled “Dialogue in the Med: exploring identity through networks” held in 2014, the second conference “Cultural Mapping: Debating Spaces and Places” held in 2015, and the conference held in 2016 titled “Cities as Community Spaces”. The conference will be held at the Grand Salon at the National Museum of Archaeology in Valletta. Further information, including details on registering for the conference can be found at conference.valletta2018.org. Registration with discounted early bird pricing will be available until 1st September 2017. For further details, contact the Valletta 2018 Foundation on 2124 2018 or [email protected].